Thousands of years ago, megaliths began to appear in Europe — standing stones, dolmens, stone circles. They vary from single stones to complexes like Stonehenge. There are about 35,000 such monuments in Europe, many along the Atlantic coast of France and Spain, in England, Ireland, Scandinavia and throughout the Mediterranean. They attract both tourists and archaeologists, who have spent a century debating how the knowledge to build such monuments spread. One idea suggested that this cultural change came from the Near East, and spread west along coastal routes, perhaps by a priestly caste. Later theories suggested techniques may have developed independently in different locales. But a scientist who analyzed 2,410 radiocarbon dates of megaliths and their surroundings reported on Monday that the first such tombs appeared in France, about 6,500 years ago, and then spread along the Atlantic and Mediterranean coasts, as well as to England, Ireland and Scandinavia. “It took me 10 years of my life for this research,” said the scientist, Bettina Schulz Paulsson, a prehistoric archaeologist at the University of Gothenburg in Sweden. She combed the literature in 11 languages, assessed the validity of the dating tests, and used a statistical method called Bayesian analysis to narrow the dates further. 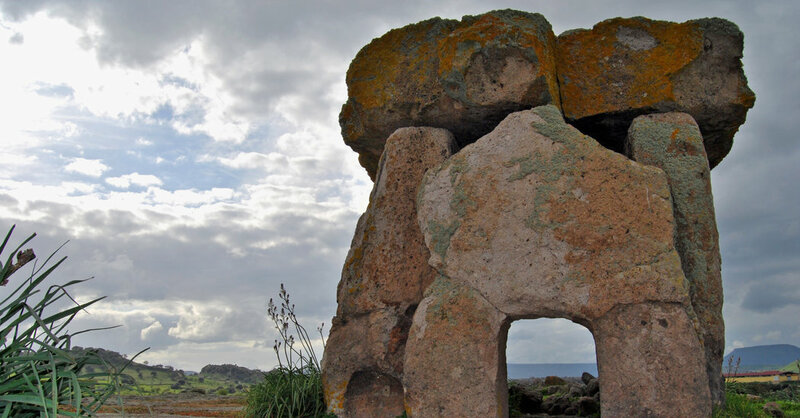 She reported her findings in the journal PNAS, concluding that the building of megalithic graves appeared and spread along the coast of France, Spain and Portugal and the Mediterranean within a period of 200 to 300 years. Kristian Kristiansen, also at Gothenburg University but not involved in Dr. Schulz Paulsson’s study, said the research was “a real breakthrough,” providing for the first time both the origin and the evidence for a coastal, maritime spread of the technology. That, in itself is significant because it suggests that people of the time had boats and skill to travel along the coasts and quickly spread the megalithic method. Dr. Schulz Paulsson found that the oldest megalithic graves dated from about 4800 to 4000 B.C. in northwest France and other areas like the Channel Islands, Corsica and Sardinia. But northwest France is the only one of these areas that showed evidence of earthen grave monuments that preceded the first megaliths, dating back to around 5000 B.C. These graves, in the geological area known as the Paris basin, indicate the beginnings of monument building that are lacking in the other areas. Dr. Schulz Paulsson said that the earliest standing stones in Brittany were some of the largest. An early stone called the Grand Menhir, once rose more than 20 meters high. Some of the early monuments were dolmens, tablelike structures that look like the Greek letter Pi. Around 4300 B.C., she wrote, the builders made dolmens that could be re-opened, for additional burials. The earliest is in Prisse-la-Charriere in central western France, constructed between 4371 and 4263 B.C. There were also subsequent waves of megalith construction, she said. One between 3500 and 4000 B.C. involved passage graves, which have a corridor and allow for multiple burials. She also found a “megalithic revival” in Sicily, Apulia and the Balearic Islands, which include Mallorca and Ibiza, in the second millennium (2000 to 1000 B.C.). Some of the more famous and elaborate megaliths, like Stonehenge, came near the end of the construction of megalithic monuments, around 2500 B.C. He said the construction of the megaliths, particularly the passage tombs, was quite complex. He said researchers had even found tombs that seemed to bear a signature design in Denmark and in northern Germany. Dr. Schulz Paulsson said that future research will focus on the trading of greenstone along the route she traced for the expansion of the tomb technology. Greenstone trading is known to have occurred in the Stone Age, but she thinks the maritime trading along that route was more advanced than previously thought, and maritime technology more sophisticated, too. She also hopes to do carbon-dating and more field work. Over the past decade, she said, she had dragged her family with her on research trips. Of course, she acknowledged, much of that travel was along the Atlantic coast of France and to the various Mediterranean coastal sites. “It’s not the worst,” she said.